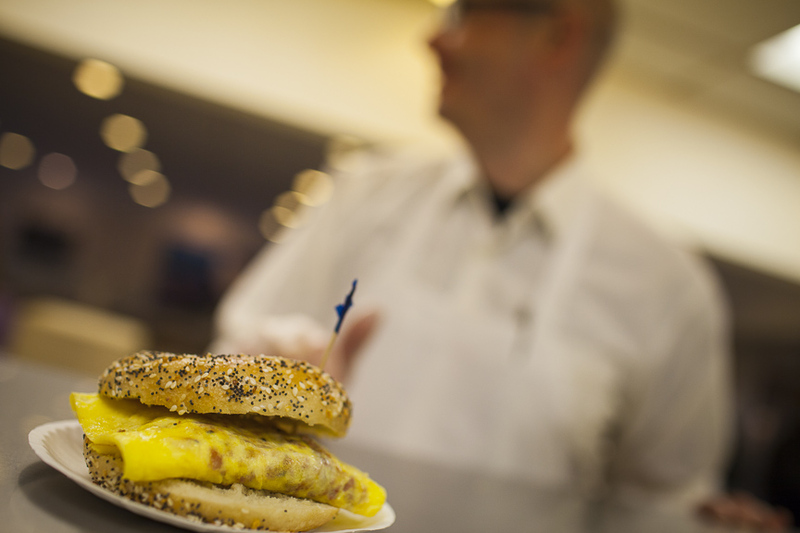 You’ve either never had a Deli-Egg at Bodo’s or you order one often. At Charlottesville’s restaurant with the biggest cult following, it’s the sandwich with the biggest cult following. But, even many who are hooked on Deli-Eggs have never been entirely clear on what goes into them. Wonder no more. 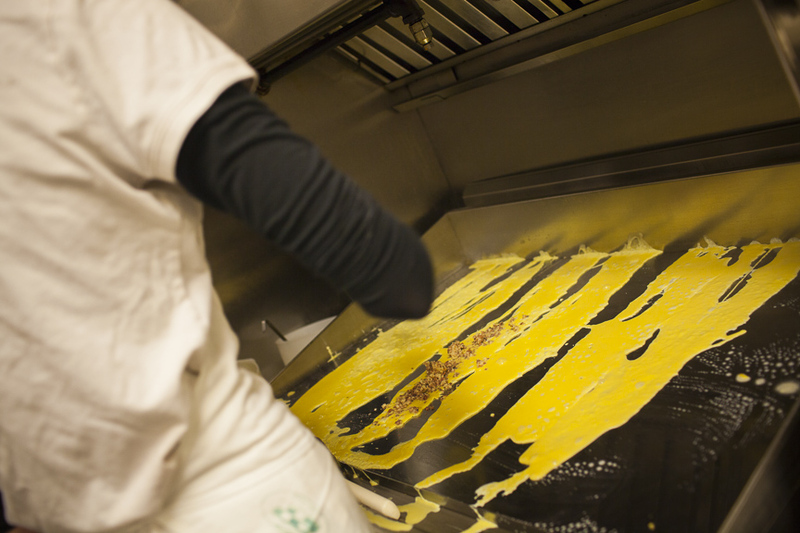 With help from talented photographer Justin Ide, Bodo’s recently took us behind-the-scenes to crack the Deli-Egg mystery. So, behold the glory of a sandwich that has not just made several appearances on Five Finds on Friday, but has become a local legend. 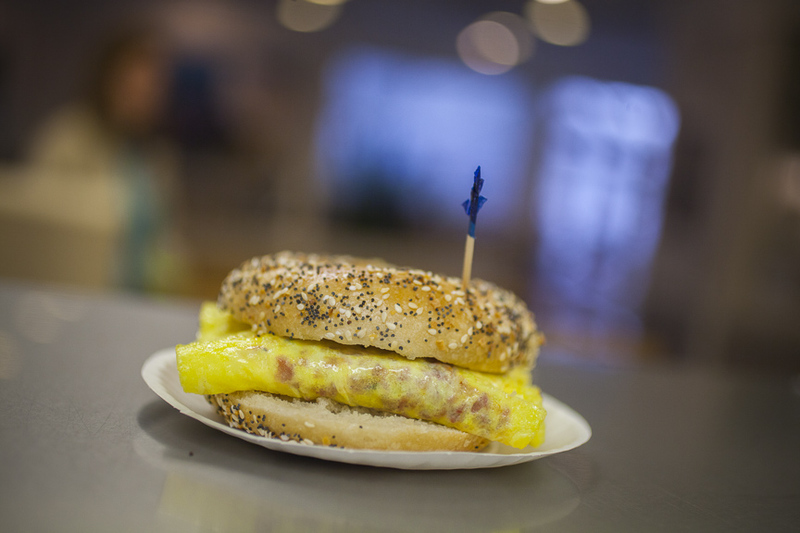 We like ours with American cheese on an Everything bagel, cut in half. 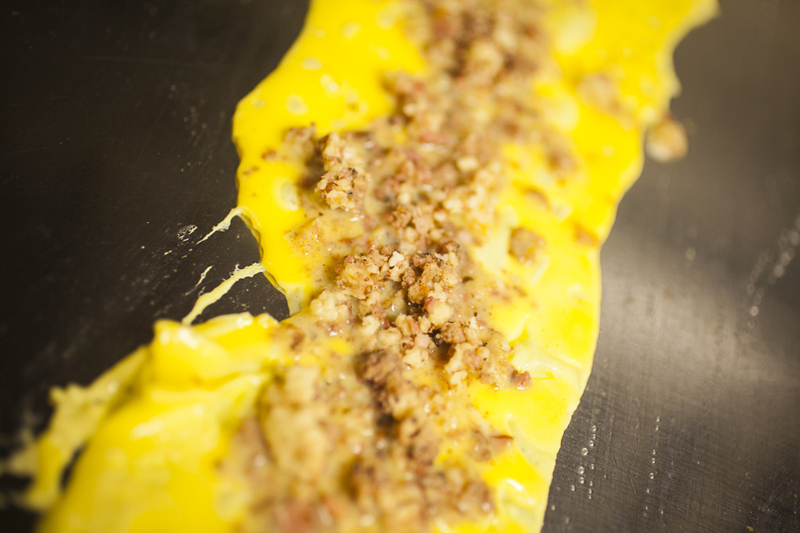 But, we’re not going to tell anyone how to enjoy their Deli-Egg. 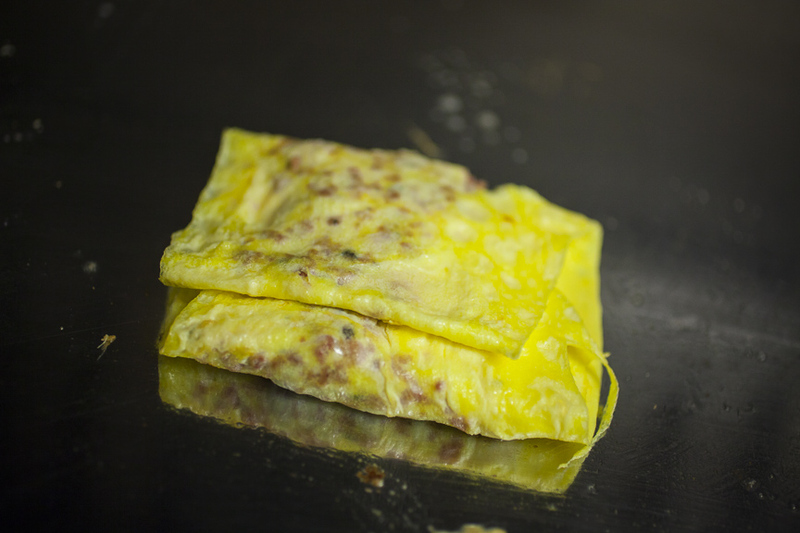 A Deli-Egg is essentially an omelet filled with diced scraps of deli meats and cheeses. 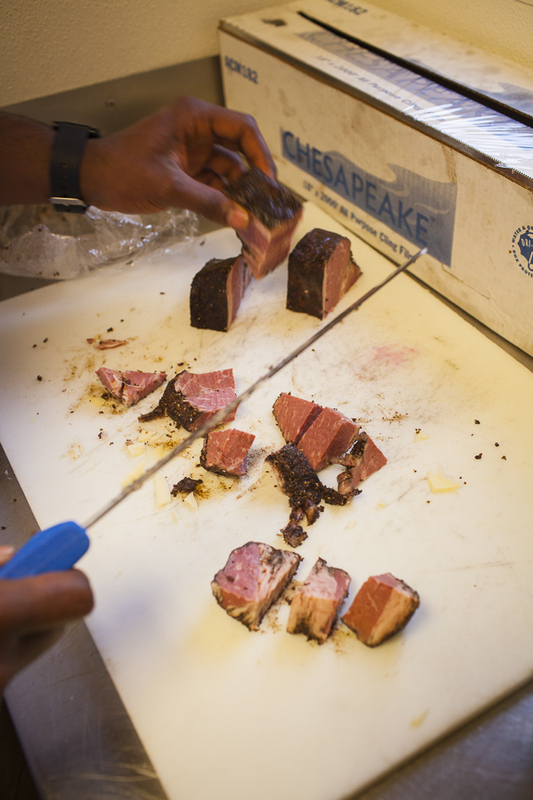 It’s a cunning way to use the tail ends of the meats that it would be too hard to slice for sandwiches. 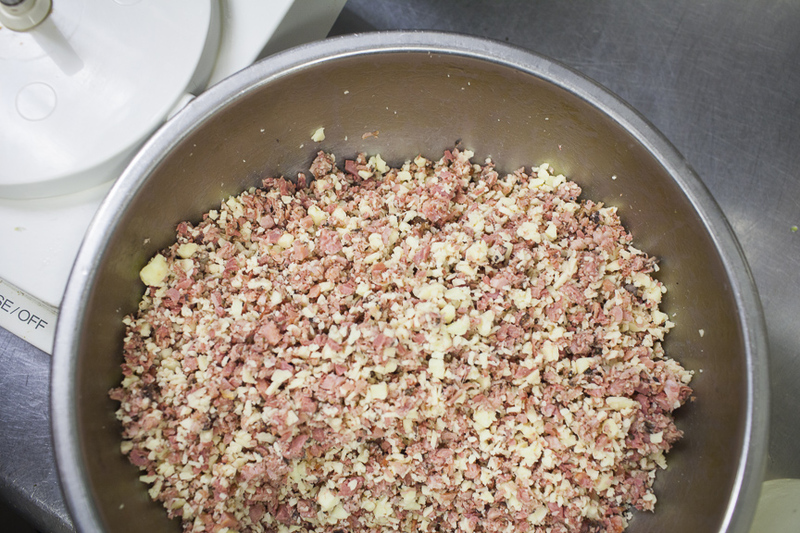 Bodo’s version includes pastrami, corned beef, ham, capicola, and salami. They also add three cheeses, again diced: provolone, Swiss, and Muenster. First, dice the meats and cheeses. All that’s left to do is grab one, and dig in.